General objective of this report is to analysis Importance of Training of Beximco Pharma Limited. Other objectives are identify the HR activities and identify the importance of Beximco Pharma Limited Training. Report also focus on to find out the sector in which BPL provides Training and also find out a time series analysis of BPL Training. Finally discuss the role of BPL Training in improving the contribution of the people. Identify the main objectives of BPL Training. Identify the HR activities of BPL. Identify the importance of BPL Training. To find out the sector in which BPL provides Training. To find out a time series analysis of BPL Training. To get a clear idea of the role of BPL Training in improving the contribution of the people. The data collected for a purpose or when the researcher investigates a particular problem at hand is known as primary data. When an investigator uses data, which have already been collected by others for another purpose, such data is called secondary data. Study related book and different text books. Bangladesh has come a long way since its independence. It has improved key social indicators and the well being of its people. The Beximco Group of Companies has been an integral part of this progress. BEXIMCO’s philosophy is simple: In identifying opportunities, it has targeted those industries which the country needs most in order to progress and to improve living standards. Beximco is also focused on those industries, which make the most of Bangladesh’s Competitive Advantages in the international market. As a result of this philosophy, the Beximco Group is today Bangladesh’s largest private sector industrial conglomerate. In the course of its growth, it has created industrial and management capabilities that will serve the country for generations to come. Over the years since started it could gain a position to symbolize effective management, fund generation, and diversification of exploring business opportunities. Today it is one of the most known names in the country’s business arena. Beximco practices an appropriate combination to delegate authority and responsibility that works to motivate employees and yield better performance for the company as a whole. Recruiting the efficient and potential people, planning to develop human resources, exploring business opportunity, and information management have strengthened the effectiveness and image of the group. It has a turnover in 2008 was BDT 18.5 billion. BEXIMCO employs 35,000 people and has 170,000 shareholders. BEXIMCO’s shares constitute 5.72% of the market capitalization of Dhaka Stock Exchange. BEXIMCO’s industrial businesses include jute, textiles, basic chemicals, ceramics, pharmaceuticals and marine foods. BEXIMCO’s non-industrial undertakings are focused on real estate and construction, engineering, media, information technology, trading and financial services. It is the establishment and development of businesses critical to Bangladesh’s development, businesses, which are developed and run by Bangladeshis, businesses that develop technologies and practices specific to the needs of the country, which is the defining characteristic of the BEXIMCO story. The Company is a member enterprise of the Beximco conglomerate. The principal place of Business is the registered office at 17, Dhanmondi R/A, Road No.2, Dhaka-1205. The London Branch is situated at 305A Finchley Road (1st floor), London NW36DT, UK and the Wholly owned subsidiary Beximco USA Ltd. is located at 310 Selviddge Street, Dalton, Georgia-30722, USA. Bextex Ltd. (the “Company”) was incorporated in Bangladesh as a Public Limited Company with limited liability on 8 March 1994 and commenced commercial operation in 1995 and also went into the public issue of shares and debentures in the same year. The shares of the Company are listed in the Dhaka and Chittagong Stock Exchanges of Bangladesh. Bextex Ltd. is the most modern composite mill in the region. Bextex Ltd. has an installed capacity of 288 high-speed air-jet looms in its weaving section and a high-tech dyeing and finishing section with a capacity of 100,000 yards of finished fabric per day. This company is located at the Beximco Industrial Park . Bextex Ltd. has a state of the art composite knit fabric production mill, which serves the growing needs of high-quality knit garments exporters in Bangladesh. The project was set up as a state of the art knit fabric knitting, dyeing and finishing facility. During the year the Company produced and sold high quality of knit fabrics and bringing forth all the latest in hard and soft technologies in knitting, dyeing and finishing of knit fabric. Bextex Ltd. also has a cotton and polyester blended yarn-spinning mill, with 122,000 spindles is one of the largest spinning mills of the country. The mill was set up to feed the country’s export oriented industries. Bextex Ltd. produces specialized finishes of denim cloth for export in finished as well as cloth only form. Beximco Fashions Limited (BFSL) a member of Beximco Group started its commercial production during July 1997. BFSL is a 100% export oriented garment industry, located at Dhaka Export Processing Zone at Savar, Dhaka. Beximco Fashions Limited produces over 6 million pcs of high quality dress/casual shirts for prominent brands and retails in USA, Canada & Europe. Beximco Fashions Limited is managed by a group of professionals including expatriates and aims at producing high quality garments through an effective quality control system right from sourcing of fabric to end product. The number of employees at the beginning of year 2009 is 2,220. Beximco Apparels Limited (BAL) a member of Beximco Group started its commercial production in March 1985 under the name of Comtrade Apparels Limited as a joint venture project between Comtrade Limited of Lausanne, Switzerland and Beximco Group. Comtrade Apparels Limited name has been changed to Beximco Apparels Limited since January 01, 1997. Beximco Apparels Limited is a 100% export oriented garment industry, located at Shantibagh (Rajarbagh), Dhaka. It produces over 2.5 million pcs of high quality men’s dress/casual shirts and ladies blouses for prominent brands and retails in USA, Canada & Europe. International Knitwear and Apparels Limited (IKAL) a member of Beximco Group started its commercial production during July 1997. IKAL is a 100% export oriented garment industry, located at Beximco Industrial Park, Sarabo, Kashimpur, Gazipur. International Knitwear and Apparels Limited produces about 5 million pcs of high quality knit garments (tops & bottoms) for prominent brands and retails in USA, Canada & Europe. International Knitwear and Apparels Limited is managed by a group of professionals including expatriates and aims at producing high quality knit garments through an effective quality control system right from sourcing of fabric to end product. The number of employees at the beginning of year 2009 is 821. Crescent Fashion & Design Ltd.
Crescent Fashion and Design Limited (CFDL) a member of Beximco Group started its commercial production in 2005. CFDL is a 100% export oriented woven garment industry, located at Beximco Industrial Park, Sarabo, Kashimpur, Gazipur. Crescent produces about 5 million pcs of high quality men’s & ladies tops & bottoms for prominent brands and retails in USA, Canada & Europe. Crescent is managed by a group of professionals’ aims at producing high quality garments through an effective quality control system right from sourcing of fabric to end product. The company employed 1414 employees as of February 01, 2009. Esses Fashions Limited (EFL) a member of Beximco Group started its commercial production in November 2004. EFL is a 100% export oriented knit garment industry, located at Beximco Industrial Park, Sarabo, Kashimpur, Gazipur. Esses Fashions Limited produces about 5 million pcs of high quality knit garments (tops & bottoms) for prominent brands and retails in USA, Canada & Europe. Esses Fashions Limited is managed by a group of professionals including expatriates and aims at producing high quality knit garments through an effective quality control system right from sourcing of fabric to end product. The number of employees at the beginning of year 2009 is 863. Beximco Jute Division, BJD, started its journey 43 years ago, when New Dacca Industries Ltd. was set up by late Fazlur Rahman in March 1965. Because of its quality, Beximco now is a global name to put trust on, specializing itself to produce the finest quality of natural yarn made from jute. Through our four decades of experience, we understand what our clients want from us. And that’s why our products and services are incomparable. Today Beximco Jute Division is comprised of three companies with total annual turnover of over US$20 million. These are New Dacca Industries Ltd — the spinning mills and Sonali Ansh Ltd & Esses Exporters Ltd. New Dacca Industries Ltd. was nationalized in 1972 when its production capacity was 6MT/day. Sonali Ansh Ltd and Esses Exporters Ltd were set up in the same year (1972) for procuring, baling, and exporting raw jute and jute goods third party source. New Dacca Industries Ltd was returned back to the owners in 1978. 1979 saw the birth of Shinepukur Jute Spinners Ltd (which was later renamed as Shinepukur Holdings Ltd) — the other spinning mills under the same Management. In July 2005, however, New Dacca Industries Ltd acquired all the jute business of Shinepukur and became the single largest yarn spinning mills in Bangladesh. In course of time, today Beximco Jute Division is the most diversified and largest jute spinner in the world. Each of our activities must benefit and add value to the common wealth of our society. We firmly believe that in the final analysis we are accountable to each of the constituents with whom we interact; namely, our employees, our customers, our business associates, our fellow citizens, and our shareholders. Beximco Engineering Ltd. (BEL), is a wholly owned construction unit of the renowned industrial and trading house Beximco Group and uniquely serving the needs of the construction industry in a world of rapidly changing technology. The name BEL is the culmination of long process of organizational development that started in the 70’s. Initially it started as a specialized engineering and management unit within the Beximco Group. Finally as the work load increased to a level beyond the capacity of a small team, BEL was created as an independent Company in 1984. An experienced team of engineers and key management people, formed the core of the Company. Financially stable as the subsidiary of Beximco Group, BEL has access to the expertise and facilities of its parent and to those of other subsidiaries to undertake complete programmed, planning, implementation and completion of construction projects of any magnitude. In order to keep ahead of its competitors and to maintain high professional management quality and technical skill, BEL provides management and development training programmers throughout the year. These training programmers are conducted through Beximco Group’s own training center which is fully equipped with modern training facilities and qualified training staff both local and expatriates. Key professionals are also sent abroad for training not available at home. With the new millennium just around the corner, Beximco is keen to stay on the Information Superhighway. The companies included in this division are Beximco Computers, Beximco Systems, and BOL Online. Beximco Computers Ltd. is still the nation’s largest volume re-seller of IBM PCs. With the launch of a new version of BexiBank, an integrated multi-user, multitasking banking application system. Beximco Computer Ltd.’s software is in use at over 300 branches of 15 major banks nationwide. Beximco’s first foray into education, Beximco Systems Ltd. is joint venture collaboration with the largest information technology institute of India, NIIT. Molded after NIIT’s highly successful training centers across India, the NIIT Centers in Bangladesh have the highest growth rate of any NIIT facility for enrollment levels in its short courses and degree programs. Bangladesh Online Ltd. (BOL), Beximco’s Internet Company launched its operation in August of 1998. The company has the fastest access among ISPs in Bangladesh. This division to serve group’s interest in the most booming sectors of the world that is Information Technology. Since it started operation it proceeded very fast and became the market leader soon. It is pioneer company in Bangladesh to offer complete solution of automation. It also introduces the brand IT products to this country. It is involved in publication of dailies and monthlies both in English and Bengali. The publications are “The Daily Mukto Kantha”, “The Daily Independent”, fortnightly “The Ananda Bhuban”, “Shaili”, and weekly “Onneysa”. The Bengali daily newspaper has closed its operation. Although BEXIMCO’s first foray into the media field was just three years ago, its products have made significant inroads into the publishing arena. BEXIMCO has also launched a news agency, the Associated Press of Bangladesh, to provide up-to-date and news-feeds to the Bangladeshi press. Beximco chemical division one of the part of Beximco group, is committed to preventing all forms of pollution to preventing all forms of pollution by reducing environmental damage due to the manufacturing activities to an attainable minimum level. The bulk of the profit of BEXIMCO group comes from the Chemical Division. Its quality products, services and high standard of professionalism helped to earn public recognition both home and aboard. 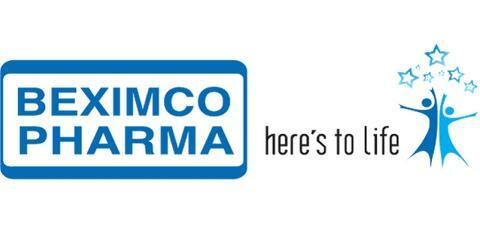 Beximco Chemical Division consists of four companies and is mainly involved in pharmaceutical business so far. Products and services offered by the Chemical Division are trendsetters in the country. Beximco Pharmaceuticals Ltd. is the leading pharmaceutical company of Bangladesh. It all began in 1980 when BPL’s first product made under license of Bayer AG, Germany rolled out of a small manufacturing plant in Tongi, Dhaka. Products made under license of Upjohn Incorporated, USA followed. After its initial years of struggle it broke ground with the launching of its own products in 1983. The journey continued and barrier after barrier were crossed, challenges were faced and overcome to transform BPL into what it is at present. Today, BPL holds a 15% share in the domestic market after competing with such Multinational Giants as Glaxo, Welcome, Novartis, Hoecsht, Rhone Poulenc Rorer, Fisons etc. The commissioning of BPL’s Basic Chemicals unit in 1990 had established a very significant milestone in the history of the country’s chemical industry. With a record of the highest growth rate in the history of Bangladesh pharmaceutical industry. BPL received the Export Gold Trophy in 19994-95 for its exports of these two basic chemicals making it the first pharmaceutical company in Bangladesh to win the Export Trophy. BPL has maintained its leadership position with the consistent growth over the year. Bangladesh Antibiotics Industries Ltd started its commercial operations in 1993 with an annual production capacity of 6 million bottles (500 ml) of life saving I.V. fluids. BIL emerged as the fastest growing infusions Company in Bangladesh. BAI is regarded as technologically the most advanced manufacturer of IV fluids in the country. Over the years, the products of BAI have earned the trust and confidence of the customers by ensuring maximum safety & satisfaction of the users. Despite stiff competition, BAI succeeded in retaining its number one position in Bangladesh infusions market with market share of around 50%. Well reputed for its quality both at home and abroad, BAI is the first and only Infusions company in Bangladesh to obtain ISO 9001 certification. Pharmatek Chemicals Ltd. is the leading bulk producer of paracetamol in Bangladesh. It caters to almost 60% of the local market and supplies its products to both national and multinational companies operating in Bangladesh. The company is managed and operated by BPL under a long term management contract. Beximco Pharmaceuticals Ltd. (BPL) is a member of the Beximco Group – the largest private sector business conglomerate of Bangladesh. Beximco Pharma, the largest pharmaceutical as well as bulk drug manufacturer of Bangladesh started its journey back in 1980 with manufacturing and marketing of licensee products of Bayer AG, Germany and Upjohn Inc. of USA. After its initial years of struggle, it broke ground with the launching of its own products (Aristovit-B Complex, Napa, Lactameal, Tycil etc.) in 1983. The journey continued and barrier after barrier were crossed, challenges were faced and overcome to transform BPL into what it is at present. It went for public issue of shares in 1985. The shares of the company are listed with the Dhaka and Chittagong Stock Exchanges of Bangladesh. Today, BPL holds 10.0% of share in the domestic market after competing with such Multinational Giants as Novartis, Hoecsht, Rhone Poulenc Rorer, Glaxo SmithKline, Fisons etc. The total numbers of share holders are 47,811 and the total numbers of employees are 1,328. BPL manufactures and markets a high quality and cost-effective range of about 80 formulations covering all major therapeutic groups. BPL is the first company to receive National Export Trophy (Gold) in 1994-1995, which was the very first year of introduction of such award by the government of Bangladesh. This is the highest national recognition for excellence in Export .Beximco Pharmaceuticals Ltd. Has also been awarded National Export Trophy (Gold) recently for two consecutive years 1998-1999 & 1999-2000.It is the only company to be the record 3 times winner of this award for its outstanding export performance. BPL has transformed its activities, culture, style and philosophy to meet the demands of the new millennium. Business diversifications that are strategically important for sustained growth are results of its vision of the future. A multi-million dollar pharmaceutical formulation plant which will be fully up to the USFDA standard is being built. On completion, this plant would be one of the most modern plants in this region. Several new bulk drug facilities are being developed to backward integrate their high volume products. BPL’s commitment to its customers is to always offer them the best both in product quality and services. CPM stands for Central Product Management that takes care of the total marketing of the products. Central Product Management (CPM) is the core department of BPL. This department mainly focuses and gives emphasis on the strategies. Central Product Management includes the activities of marketing and sales promotion of both Beximco Pharmaceuticals Ltd. (BPL) and Beximco Infusion Ltd. (BIL). CPM plans and develops sales and promotional activities to be implemented by the Sales department as these two departments have a very close circuit relationship and each depends on the other for successful achievement of marketing and sales objective. The CPM department works in coordination with other departments. Those departments help and assist the product officers in providing them with information and designing the various promotional tools. Different people from different background are working in this department to flow the activity accurately. There are Business graduates, Pharmacists, Microbiologist and Doctors. Preparing product literature and promotional materials for doctor. Determining the packaging pattern, color, size. Being ordered from the planning department, the department establishes and calculates the cost of raw materials necessary. Split out the whole year’s demand for raw materials on monthly basis. It asks for cash to the finance department. Decide which product to purchase from the local market and which to import. It arranges for bidding to the suppliers which involves close interaction with the planning department. Along with the planning department, it has to cooperate through the whole process of purchasing raw materials from available sources. This department also involves about the machinery requirements for a specific production process and their purchasing. Market Research & Statistical Cell (MRC) Department plays a vital role in looking for market share of the company in the industry. The whole country is divided into 829 territories under 20 regions. Headed by a manager, 30 Market Research Representatives (MRR) does the task of market survey. The department discloses the trend of increasing or decreasing market share by compiling the received data from the market. Forecasting future market share in response to the data from the market research representative. Recruitment of research persons in consultation with the Human Resource Department. Strategy developing for effective market survey. Arrange training for field force. Performance evaluation of the market researchers. Secret tours are arranged by the department to cross-check the data accuracy of the market researchers. Visiting chemist shops to check out and collect the prescriptions, slips, OTC drug. Filling up market research sheet where the doctors’ name, territory code, the name of the prescribed medicines is written down. Make a summary of daily collected data and send to the MRC department by mail as well as to respective MPE. Sales department is forecasting the sales. The major responsibilities of this department are, preparing the strategies for expense budget through CPM, and generating the demand in the market through MPE. The main goal of sales department is sales achievement. An Executive Sales Director is the head of the department. This department consists of Sales Manager (SM), Deputy Sales Manager (DSM), Regional Sales Executives (RSE), Area Sales Executives (ASE), and Medical Promotion Executives (MPE). The department divided the whole country into 20 regions and assigned 20 Regional Sales Executives to control sales activities. Forecasting future sales in consultation with the CPM department. Recruitment of sales force in consultation with the HR department. Budget estimation in consultation with the Finance department and with the Director of Marketing and Commercial. Strategy developing for effective sales force. Performance evaluation of the sales force. The MIS Department takes care of total automation of BPL. It supports the hardware and software network of the company and the factory. This department provides services through SNA Server, WIN NT Server, and SQL Server. BPL operational headquarters is linked to the corporate headquarters through fiber optic cable. The department also established a Wide Area Network (WAN) with the 12 depots around the country. MIS department develops the access Control & attendance monitoring System internally. The department maintains the radio-link between the factory and the head-office. The software section is to work for developing software solutions as per organizational requirements. BPL is the only pharmaceutical company that has a Multimedia Department. This is helping in the product promotion. It designs medical videos for the doctors. The color, size, shape, lettering, etc. of the text are carefully selected to attract the target audience easily. It has designed some Kiosks (touch screen computers) that have been placed in the medical colleges for the students to learn and be trained. The department also provides audio visual aids to other departments of the company and also assists to decorate the publications. Developing multimedia presentation for presentation programs. Making videos of conferences, meeting etc. Designing the cover page of annual report. Keeping the records of annual meeting and other meeting. Storing still photographs and video on medical science. Copying literature, promotional tools, and medical in CDs to gift it to doctors. This department is a unique department in this industry as BPL established this first ever in order to create easy relationship through using the professional linkage with the doctors, the ultimate customer of the pharmaceutical companies. It provides services (eg. slide preparation, providing different journals, books etc.) to the health professional on different issues and receives feedback from them. It arranges seminars on different issues such diseases and their cures in different parts of the country. It publishes a special ‘Medical Newsletter’ quarterly and sends the current issues to the enlisted doctors at free of cost. The newsletter consists of important, recent medical articles. It also provides news gathered from inter-net and allows free browsing facility for the doctors. Thus it helps the medical community and at the same time increases the company image outside. The Department has the responsibility of providing training to the firm’s employees and management. There one Manager and two Officers in this department. The curriculum of training varies from group to group. Training has been provided through lectures with the assistance of handout, multimedia projector, technical memorandum and training materials. The department basically offers four types of training programs. Take necessary steps to enter into the market. Beximco Pharmaceuticals Ltd. (BPL) is a foremost frame pharmaceutical company, acclaimed for its outstanding product quality, strong brand equity, world- class manufacturing facilities, product development capabilities and outstanding service. BPL manufactures and sells generic pharmaceutical formulation products, active pharmaceutical ingredients and intravenous fluids. The Company also manufactures and markets its own branded generics for almost all diseases. Beximco Pharmaceuticals Ltd is the largest exporter of pharmaceuticals from Bangladesh. Beximco Pharmaceuticals Ltd. has been producing world class pharmaceutical products following current Good Manufacturing Practice ( cGMP) as required by the World Health Organization (WHO) in order to improve health, happiness and quality of life. Beximco Pharmaceuticals Ltd has effectively captured the local pharmaceutical market and enjoy a commending share of 9% of the entire market. Beximco Pharmaceuticals Ltd believes that aggressive power of any company will be importantly dependent on its effectiveness to manage its information resources in the coming century. They using different type of technology for move their companies to carrying innovation forward. Beximco Pharmaceuticals Ltd. has secured market niche in the market by following cost leadership strategies amid differentiation strategies as well as aggressive promotional activities. The company’s strong support to the medical community has gained its brand loyalty from the doctors. Beximco Pharmaceuticals Ltd manufactures GLAXOSMITHKLINE in halation aerosol ‘ Ventolin’ which proves the quality of the company’s world-class machinery. Beximco Pharma has already established its value in the customer’s eye as a reputed company who supplies quality product’s in the market. So the company can enter into the existing market with its new innovation products without fear. Beximco Pharma strategic strengths include strong recognition of its brands, highly skilled work force and diversified business mix. Beximco Pharmaceuticals Ltd. has products of different therapeutic classes, each of which, occupies a prominent position in the market and the heart of our customers and shareholders. Beximco Pharmaceuticals Ltd (BPL) has a narrower product line and number of products than its most important challenger in the market. Beximco Pharmaceuticals Ltd (BPL) produces very small kind of inject tables comparing to its competitors. The injects tables market is a large one and it is captured by the rival companies. BPL’s sales activities are less founded in remote rural areas. Beximco Pharmaceuticals Ltd. manufacturer and the largest pharmaceutical exporter of Bangladesh, has started supplying medicines to Pacific Island country, Fiji, a company statement said today. BPL included twenty five products covering a wide range of therapeutic categories, including antihistamine, antihypertensive, antibacterial, lipid lowering, respiratory, antiulcerant and pain relievers. The Company already exports pharmaceuticals into a number of countries in East Africa and South East Asia and is now seeking to build its presence in Central and South America. Beximco Pharmaceuticals Limited (BPL) has launched a novel, new generation corticosteroid inhaler Cesonide for the treatment of adults suffering from persistent asthma. Beximco Pharma has a strong commitment to developing the next generation of anti-inflammatory agents for the treatment of asthma. Leading drug manufacturer in Bangladesh Beximco Pharmaceuticals Limited introduced Oseflu capsule for the prevention and treatment of human cases of Avian influenza (H5N1) causing Bird flu. Due to its safety and effectiveness against pandemic strains of influenza, the World Health Organization has recommended it in the event of an influenza pandemic. Competition from the local Pharmaceuticals companies and the very specifically in context of price is a major threat for BPL. Who will give the information? Where to get the information. What methods to use for gathering the information. What will be the final summary or interpretation will look like. Training is basically imparted solve significant problems per taming to employee performance at work. The word need implies that something is lacking- there is a shortfall somewhere. The word training further implies that this lack can be supplied by systematic training. If can, thus, be said that a training need exists when the application of systematic training will serve to overcome a particular weakness. Training need analysis is a process of obtaining pertinent information with a view to determining whether particular performance problem is responsive to training. From information thus obtained will help us to identify the gap between the desired level of performance and actual level of performance. BPL conducted training programs for the improvement off well fresher as well as the existing employees. Training is the essential part for the managerial job for their development. Though training employees will be able to cope with the adjusted work environment. This will bring into feasibility workforce, personal skills development, adjusted with the working environment, etc. that’s why training is very much needed for BPL’s employees. It is done for both theoretically and practically improve trainee’s skills. Organization training plan reflects all the training needed for its employees at different level. This is normally done on annual basis. It includes training for different level of management as well as the work people. It is mainly dependent on the organizational policy. Thus the top management must be involved in designing organizational training plan. A training plan is relatively easy device to supervisor to determine training need and priorities. Supervisors who have many jobs in their department may wonder where to stat training, on which job, and for which people. Resources required for the training etc. BPL arrange at worksite in context of actual job. OJT is not only orientation training for new hires but also for the improvement of the existing employees. BPL naturally follow full time assignment, coaching and job rotation. There is a setting rule every employee must work with each and every department the duration of one place for three years. BPL focus on multi-skilled or cross training function. Training is conducted outside of the organization. BPL arranges in the home site training or the aboard training programs. It arrange workshop, seminar, etc. they have fulfilled training programs from Singapore and Netherlands. BPL does orientation programs, behavior modeling, case study, role-playing, teambuilding, etc. Evaluation is a planned process. It aims at improving the knowledge and skill of the participants, changing his behavior in the organization improving other new result areas of the organization such as cost of production, absenteeism and turnover rate as well as taking decision about the desirability, nature and content of future training. It involves collection of information from the trainees (on both pre-training and post training situation),from his superiors, his subordinates and peers. Training is evaluated in terms of objectively variable standards or criteria. Reaction: This reflects the feelings of the trainees about the BPL evaluate employee after training program through how a person react due or after the program on the job. Trainer may evaluate through exercise, case study, tests, etc. BPL Trainers may observing on the job behavior from peer, subordinates, superiors, etc. the impact of employees after training may observe by evaluated to fulfillment certain profit margin, etc. BPL arranges seminar, workshop, and training program for future development of the employee as a big motivation tool. That’s why they become self motivated and satisfied employee. Training budget is also very important for implementing an effective training program. The quality of the training should be given priority in preparing the training budget. All the items necessary for maintaining a good learning environment should be taken into consideration in the budget. For cost effective training program all cost items are to be brought under the budget. The source of funding may be different. In-house training may not need to pay subsistence allowances but must include the cost of food. The cost of items should be realistic as far as possible. The budget will help the management to look into the ultimate benefit of the investment made for the training program. BPL goals of the training program should relate directly to the needs determined by the assessment process outlined above. Course objectives should clearly state what behavior or skill will be changed as a result of the training and should relate to the mission and strategic plan of the company. Goals should include milestones to help take the BPL employee from where he or she is today to where the firm wants him or her in the future. Setting goals helps to evaluate the training program and also to motivate employees. Allowing employees to participate in setting goals increases the probability of success. Students of various universities are placed as Interns in different departments. Significant number of students completed their In-Plant Training in BPL. Coordinating factory visit for different government and Institutions. All newly joined executives go through a structured Orientation Program. We conduct health, Hygiene & different awareness program for our colleagues. We conduct training on different compliance parameters for our factory colleagues. BPL is now one of a leading position for their modernization ideas and various facilities for their customers. Moreover to retain the customers, if BPL gives more importance on their marketing strategy, it will outperform their competitors. It will be more helpful if, BPL adaptation of more advance technology in the production process and improvement of compensation structure for the staffs and employees. Training facilities must be given to employees and officials to increase their efficiency and effectiveness. To retain customers, BPL should give more attention on their field force. In this regard, they can employ more talented & educated people as representative. Training facilities must be increasing the productivity of the employees that helps the BPL further to achieve its long-term goal. Training amenities in improving upon the quality of work and work-life. BPL Training facilities leads to improved profitability and more positive attitudes towards profit orientation. A company will be most successful, when the company’s employees are job knowledge and skills are in good health. Training facilities inculcating the sense of team work, team spirit, and inter-team collaborations. It helps in inculcating the zeal to learn within the employees. In Bangladesh Pharmaceutical sector is one of the most developed hi tech sector that is contributing in the country’s economy. Pharmaceutical sector is one of the express mounting sector in Bangladesh. It is most developed scientific sector. There are 250 registered pharmaceutical companies operating in Bangladesh pharmaceuticals industry. Pharmaceuticals market is now extremely aggressive. Beximco Pharma is the leading healthcare company in Bangladesh. Beximco Pharmaceuticals Ltd. With its progressive business outlook, believes and practices corporate work culture with a classic blend of efficiency and equity. BPL believes in company growth by increasing efficiency level of employees and for that offering excellent environment and support for skill and knowledge up gradation. BPL values productivity as the spontaneous contribution of Human Resources. Strategic Human Resource Development Programs are the energy sources for BPL HR for running towards the zenith of success. Flow of clear and specific information and justification of queries play the vital role to ensure the market reputation of BPL as the most trusted and transparent company and it enriches the motivation level of HR who are the real contributors and owners of his / her own jobs. At BPL, HRD symbolizes the unique blending of professionalism as well as sharing the stress and success equally like a family where every member has deep concern, feelings and pride for their own company BPL. HR ensures the strong supporting role to develop & implement HR policy guidelines for ensuring uninterrupted operation and spontaneous participation to achieve organizational objective as well as fulfillment of employee needs. HR is maintaining an effective way to deal with labor union and still no unrest has been recorded as dispute. Personnel working here are taking care of BPL as if it is their own family. Employee-employer relation is cordial and supporting always.